The phrase “Internet of Things” (IoT) suggests that the most important attribute of distributed sensors is connectedness. While it’s undeniably useful to connect inanimate objects and sensors to the Internet, that’s only a first step in terms of doing something useful with all those connected devices. “The Analytics of Things” (AoT) are just as important, if not more so. The AoT term points out that IoT devices generate a lot of data, and that data must be analyzed to be useful. It also suggests that analytics are necessary to make connected devices smart and for them to take intelligent action. Connection, on the other hand, isn’t required for intelligent action. 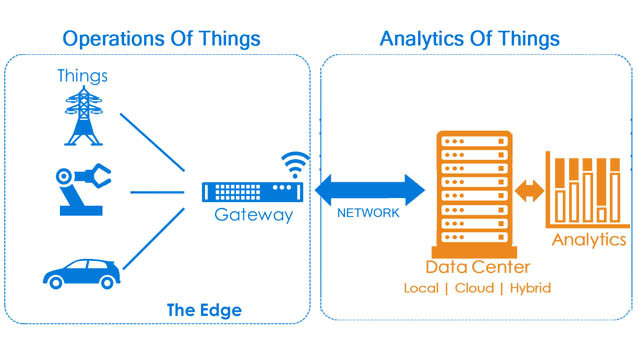 There are many different types of IoT analytics, and connection isn’t required for all of them. AOT – What does it actually mean? 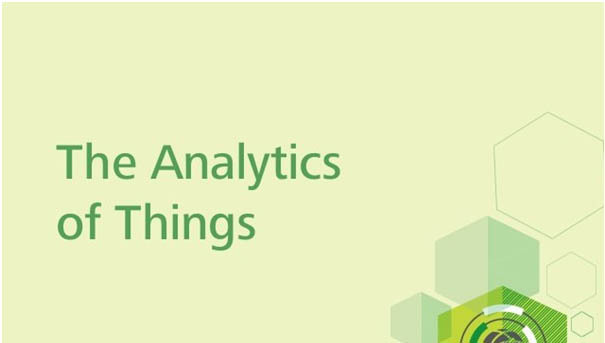 Analytics of Things is nothing but IoT analytics. In simple terms, AoT means generating analytics from the data generated by the IoT. IoT means that several devices are connected to the Internet and are transmitting data to somewhere. Now, just obtaining the data is the first step. Enterprises need to analyze the data to make the devices smarter and more efficient. The result of IoT analytics is also used to make right decisions in different situations. Now, if we exclude the ‘Things’ part from the term AoT, then the rest is only ‘Analytics’ ,which is quite similar in nature to any other data analytics. Here the ‘Things’ are nothing but IoT devices. Similar to other data analytics, AoT can be of different types like descriptive, diagnostic, predictive or prescriptive.For example, diagnostic and prescriptive analytics can be done with the help of medical IoT devices and predictions can be made based on the data generated by the industrial IoT devices etc. 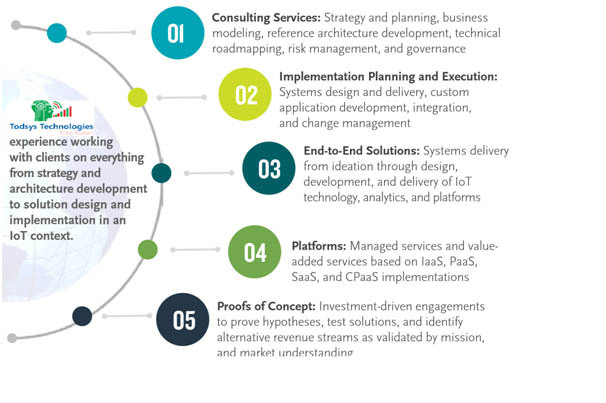 But, we must remember that all these forms of IoT analytics/AOT are still evolving and requires significant amount of time and effort to get real business value. When we talk about the ‘Analytics of Things’, there are mainly two parts in it, one is the analytics part and the other is the data collection part, generated by the things/connected devices. The analytics part is reasonably matured but the biggest hurdle is the data collection part, which the analytics world is facing for years. So, we are actually iterating the same old problem while pursuing AoT. Analytics people might have a lot of innovative ideas about analyzing the data and getting wonderful insights from it. But the ground reality is, unless we have a proper infrastructure and skill to acquire and analyze necessary data, AoT is meaningless. Now, let us divide the challenges into two broad categories, one is on the organizational side and the other is on the technology and implementation side. Let’s start with the organizational challenges first. The most important challenge is to build a solid AoT business case to convince the organization. It will ease the investment and future nurturing of AoTvision.The first investment is required to deploy the IoT devices in proper places with sensors to capture data. Once the devices are ready, organizations need to enable the data movement from sources (IoT devices) to destination (may be a staging DB or data warehouse or some other storage). Finally, a proper strategy has to be built to figure out how the storage and analytics can be managed. Think, for example, about a “smart” thermostat, now available from a variety of vendors. These thermostats sense not only room temperature, but also whether people are in a room, their patterns of activity during the day, and so forth. In order to make sense of such data and take action on it, smart thermostats have embedded analytics that help them decide when to turn themselves up or down. So they’re smart enough—even without being connected—to save energy with little or no user involvement. Smart thermostats can also be connected to the Internet through wifi, and there are some potential benefits from doing so. Remote monitoring and control is one. I can turn up my thermostat during my trip home from work, or check remotely to make sure my pipes won’t freeze. This is useful for controlling remote devices, but connection also yields more data and more potential for analytics. 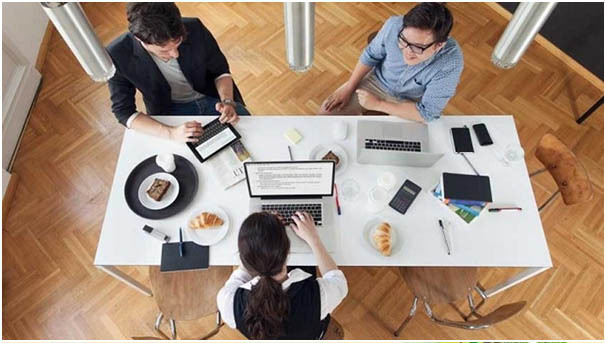 The primary virtue of connected analytics is that you can aggregate data from multiple devices and make comparisons across time and users that can lead to better decisions. Comparative usage of an important resource such as energy, then, is one key analytical approach to connected data. What other types of analytics of things are there? Understanding patterns and reasons for variation—developing statistical models that explain variation. Anomaly detection—identifying situations that are outside of identified boundary conditions, such as a temperature that is too high or an image depicting someone in an area that should be uninhabited. Predictive asset maintenance—using sensor data to detect potential problems in machinery before they actually occur. Optimization—using sensor data and analysis to optimize a process, as when a lumber mill optimizes the automated cutting of a log, or a poultry processor automates the preparation of a chicken. Prescription—employing sensor and other types of data to tell front-line workers what to do, as when weather and soil sensing is used for “prescriptive planting” by farmers. Situational awareness—piecing together seemingly disconnected events and putting together an explanation, as when a series of oil temperature readings in a car, combined with dropping fuel efficiency, may indicate that an oil change is necessary. Thus far, the primary use of the unified data is to push it out to drivers through electronic signboards (and to companies to create innovative applications), but one could easily imagine the use of automated analytics to change traffic light patterns, increase tolls for vehicles going into the city, or to recommend optimal routes. One could suggest that automated action is another possible element of the AoT, though it doesn’t always take place. Who needs to bulk up on AoT? Organizations should start building their sensor data analytics capabilities if they have relatively little experience with sensor analytics or little exposure to fast-moving big data. If they see a lot of data coming and no clear way to make sense of it, the analytics of things is going to be important to their future. For example, if your organization (like the US military and intelligence sectors, for example) is using drones to capture a great deal of video, you may want to rapidly focus on capabilities to analyze video data and detect anomalies with little human intervention. The Secretary of the US Air Force lamented in 2012 that it would be years before humans could possibly analyze all the video footage captured by drones in war zones. We’ll learn much more about the AoT as these connected devices proliferate. We’ll learn how to extract the data from them for analysis, and where best to locate the analytics. We’ll learn what kinds of analytical features and functions are most helpful. For now, it’s just useful to remember that the Internet of Things is only useful if those things are smart, and that will happen through the Analytics of Things. These translate to more devices, more internet connections, and certainly more data than anticipated when “big data” appeared on the scene. As a result, two distinct but complementary areas emerged: the Operations of Things and the Analytics of Things. Maximizing the value of IoT requires efficient coordination of activities in both of these sub-systems. Working Together: Operations and Analytics of Things. The Operations subsystem encompasses the acquisition of data by sensors in connected devices, the transmission of that data to a decision-making engine, and the application of previously deployed or embedded software/algorithms on that data to enable an action—which may be automated or semi-automated with a human operator.All this activity takes place at or near the “edge”; that is, where the “doing” takes place in IoT. You can think of a car and its driver as the Operation of Things subsystem in the Connected Car flavor of IoT. The car has a vast amount of intelligence built into its Electronic Control Unit, and various other subsystems, which—augmented by a skilled driver—acts in perfect coordination. Digital device models that mirror, predict, and prognosticate the behavior of things. Ability to provide intelligent feedback and simple analytics (or rules) to edge devices for improving actions. In the Operations subsystem, devices are operated by local embedded software, possessing an ability and intelligence to act somewhat autonomously. However, the Analytics of Things ecosystem includes business context data that is unavailable at the Edge because it is an extension of the company’s existing business analytics. By using all available and relevant data, the algorithms deployed to execute actions at the Edge can be improved and updated, with the goal of improving device performance in the field. When companies bring all data into the analytic ecosystem, it can be leveraged to provide keen insights that would otherwise be impossible to make in isolation at the Edge. Think of a vehicle health monitoring system, which contains predictive models that integrate vehicle build and quality information, maintenance records, and location-specific data. Together, it can be used to predict what may occur in the vehicle, and even how to respond through driver-assisted instruction or guided action by the car itself. The specific implementation of, and inter-connection between, these two systems may vary greatly in design among different industries and deployments. Architecture choices depend on factors such as analytic capability of devices at the Edge, extent of connectivity, need for real-time response, security and safety requirements, as well as other considerations. some of the challenges on the technology and implementation side. The volume of data each sensor generates is huge. But, the question is, are all these data worth transmitting? The answer is ‘No’, so we need to figure out, how intelligently we can transmit only necessary and meaningful data. It will result a clean analytics without processing junk data. Security and privacy of sensor generated data is very important. Specially, when this data is generated from sensitive devices fitted in confidential or critical areas. For example, the data may be coming from some devices fitted in an ICU (Intensive Care Unit) or from an airport or it can be from some critical industrial infrastructure. In all these cases, data security has to be ensured to protect the integrity of the system. Standardization and protocol is one of the biggest challenges for AoT success. We need to standardize the communication protocol between devices. It will help all the devices to communicate with each other seamlessly. It is more related to filtering the entire analytics process. The challenge is – where we can do all these analytics? Maybe, some part can be performed within the devices, so that the data coming out of these devices are filtered to some extent. Or, we can design separate analytics layers once the data is reached unchanged, and then perform the filtrations step by step. And finally, do the analytics with the clean data. Apart from the above issues, we are also going to face a lot of new challenges in the coming days. As we move forward, we will have new IoT devices, new data format, new protocols and many more. So, it will eventually bring new hurdles to overcome. Todsys Technologies P Ltd is a global Technology Products and services provider with a Primary business focus on North American markets like USA and Canada and Europe Markets (Austria,Switzerland and Germany). Copyright © 2017 Todsys Technologies, Developed by Acutesoft Solutions.